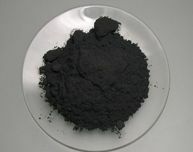 Tungsten powder is are widely used in the production of weight fillers, radiation shielding fillers and induction accelerators, etc.. The thin film surface of its polymer mixture is ideally suitable for radiation protection. The large particle size makes it an ideal heavy metal filler for injection-molding applications. The unique shape and the resulted high flow ability of the particles make it suitable for applications in metal spray industry.